THE LAUNCH of a new air link offering Flights from Gatwick to Angouleme airport has been postponed at the last minute, with all summer flights on the route cancelled. Cityline Swiss was due to start running three return flights a week from the Charente base to Gatwick from tomorrow afternoon. It has announced that it will not be launching the new route until the autumn after airport authorities "did not reach an internal agreement". All passengers who have booked summer flights on the Gatwick route will be fully refunded, the airline said. Cityline Swiss announced in April that it would be restoring the Angoulême link to London after Ryanair pulled out in February in a row over funding. The airline said in a statement that “uncertainties of regularity caused by the cloud of ash produced by the Icelandic volcano Eyjafjöll” had contributed to its decision to delay the London launch. Cityline said: "Clients having already purchased their tickets will be fully refunded. "We sincerely apologise for any inconvenience that this issue may cause and we hope to have you again on board of our airplanes." Flights to Lyon have also been cancelled. The airline says its new Angoulême to Marseille route will operate as planned. However an airport source said all CityLine flights out of Angoulême were cancelled for an indefinite period. Local newspaper reports suggest that CityLine had asked for the Syndicat Mixte to underwrite its financial losses. The body had offered to contribute €225,000 towards the costs of running the route but no more. 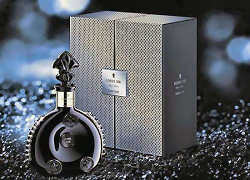 Only 786 bottles of the ultra-premium Louis XIII Rare Cask cognac have been made available worldwide. Liquor supplier Rémy Cointreau Global Travel Retail (GTR) has rolled out the ultra-premium Louis XIII Rare Cask cognac to all terminals at London Heathrow airport with travel retailer World Duty Free (WDF) following its launch last month at terminal five. The product is presented in a dedicated wall display with special lighting where the black Baccarat crystal decanter and metal coffret are featured. The rare release is drawn from a single cask containing a blend of 1,200 eaux-de-vie aged between 40 and more than 100 years old. 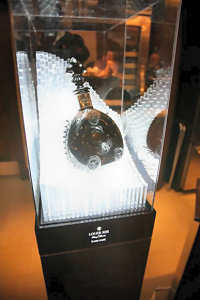 Only 786 numbered decanters of the cognac will be available, each priced at €10,000 ($12,000). Louis XIII Rare Cask is only available at Heathrow and Paris Charles de Gaulle airport in Europe, with a small number of bottles also available at Moscow Vnukovo airport’s private jet terminal in association with Gebr Heinemann. TRAVELLERS will be able to experience an exciting Air France flight from London to Paris on Air France's double decker A380 aircraft this summer. The airline has confirmed that flights from London Heathrow to Paris Charles de Gaulle airport will operate from Saturday, June 12, 2010 until Monday, August 30, 2010. Air France is offering an economy class fare starting from £80 return to mark the launch of the link, and with a seating capacity of 538 there should be plenty of space for travel this summer. Visit the Air France website for more information.